Stress is a normal and unavoidable part of living. Regardless of age, gender, ethnicity or station in life, no one is immune from the busyness of modern living. From work or school to shopping and paying bills, or just doing the many things that are required of us just to make it through the day, the list of demands on our time and attention can feel insurmountable. But what happens if you start falling behind in your chores or daily tasks? Is there a way to catch up if you find yourself struggling to complete yesterday’s (or last week’s) to-do list? And if so, how much energy will it take just to get back to a state of status quo? If it feels like your stress levels are being pushed to the limit, you may be developing a real fatigue problem. Everyday fatigue differs from everyday stress in both intensity and duration. If you have a major project at work or paper for school that’s due tomorrow, it’s easy to feel overwhelmed. However, if that level of stress affects your daily life over a sustained period, you may have a fatigue problem. Everyday fatigue can contribute to serious mood, or sleep difficulties. 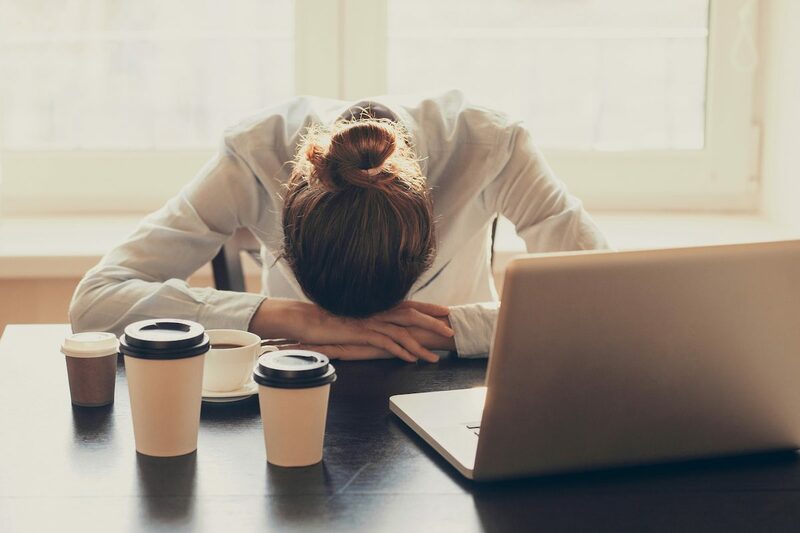 Long-term fatigue can also contribute to other health challenges around blood sugar or blood pressure, and even affect your mental focus and recall. The first step in getting help for everyday fatigue is admitting that it’s affecting your life. 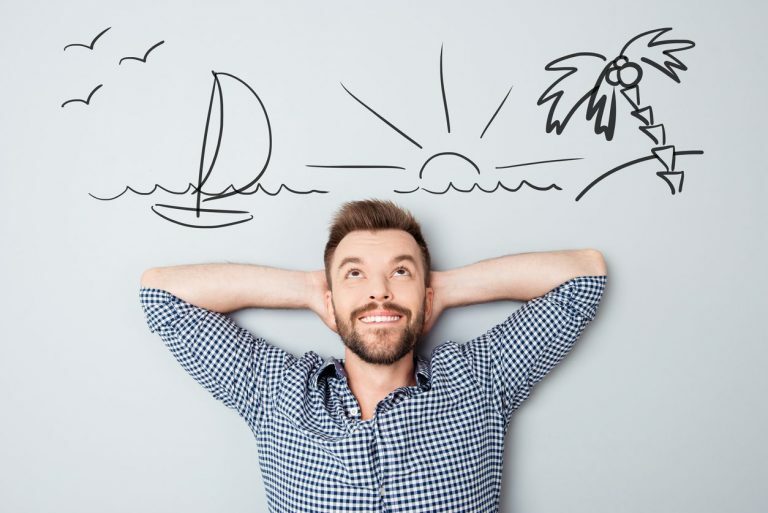 Once you’ve recognized the problem, you can start working on effective strategies that can help reduce your stress and fatigue so that you can focus on what matters most in life. Physical exercise is perhaps the single most important thing you can do to keep your brain healthy. Exercise can boost blood flow and other positive nutrients to the brain, helping the brain generate pleasurable and calming that can effectively lower your stress. Walking can help you clear your mind, lower your anxious thoughts, improve your mood and burn some calories all at the same time. Though isolating yourself during tough times may feel like the safest option, closing yourself off from the world can aggravate your feelings of negativity. Resist the urge to shut out the individuals who can offer you encouragement and support. Let friends and family know when you’re emotionally overwhelmed. Seek professional help if necessary, but don’t fight your battles alone. Make time for yourself every day. Spending just 15 minutes alone, without distractions, may refresh your mind. Clearing your mind and slowing your breathing can help restore inner calm. Repeating simple words like “May I be safe and secure” can increase positive emotions and decrease negative ones. Loving Kindness Meditations (LKM) can reduce pain and improve other mental health challenges. Did you know that it takes less effort to smile than to frown? Not only can smiling make you feel better about yourself and your situation, but it can also spread positivity to others who also might be going through hardships. The process of journaling gives stressful thoughts another place to live beside your brain. Once those concerns have been expressed, they often lose their intensity and urgency which will allow you to relax mentally. Writing in your journal 10 minutes before you go to bed can help release the stresses of the day and put you in a restful state of mind. If working on all your goals at once becomes overwhelming, set up a hierarchy. Select a few things you absolutely must accomplish, several things you want to complete and many things that would be nice to finish in the future. Not only will this pyramid structure allow you to focus on the essentials, but it will also help to reduce the debilitating pressure of trying to juggle so many objectives at one time. Did you know that practicing gratitude actually makes your mind work better? People who express gratitude on a regular basis are healthier, more optimistic, make more progress toward their goals, have a greater sense of well-being, and are more helpful to others. Write down three things that you’re grateful for every day. Then experience the joy that gratitude can bring. It’s no surprise that listening to music can increase pleasurable feelings, improve mood, boost energy, probably raise dopamine levels and help with focus and concentration. Remaining in a blissful state of mind is easier to accomplish when you have a happy tune running through your head. Listen to brain-enhancing music specifically composed to increase gratitude, motivation, and inspiration. Typically when people experience anxious feelings, their breathing becomes shallow, rapid and erratic. Since the brain is the most metabolically active organ in your body, any state that lowers oxygen can trigger more fear and panic. By taking slow, deep breaths, you’ll boost oxygen to your brain and start to regain control over how you feel. One way to practice deep breathing is by learning how to breathe from your diaphragm – the area of the body that tends to get “clenched” when we’re anxious. It’s not uncommon for people to have periods where they feel tired or unfocused. 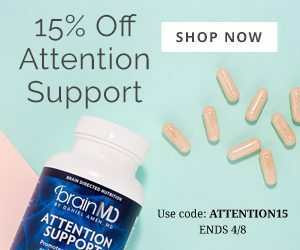 BrainMD’s Focus & Energy was designed to gently prevent fatigue without lowering blood sugar, to promote mental sharpness, and to improve your mental productivity by performing at a higher level particularly under stress. This supplement features an incredible array of “adaptogens”, traditional plant concentrates proven to improve mental performance when under stress. It also contains choline, a vitamin-like nutrient that helps the brain make the key transmitter acetylcholine and works through additional metabolic pathways to promote endurance and overall vigor. If you’re looking for a natural energizer and mental sharpening supplement, one that likely will also improve your physical endurance, Focus & Energy is your best option. And unlike the energy rush, you can get from your stimulant of choice (coffee, diet soda, caffeine pills), there’s no dramatic drop in mood and energy with this nutritional supplement. Focus & Energy is safe, natural and non-habit forming. A marked decline in capacity to make good decisions. Quality sleep actually helps all the cells in the body repair and renew. 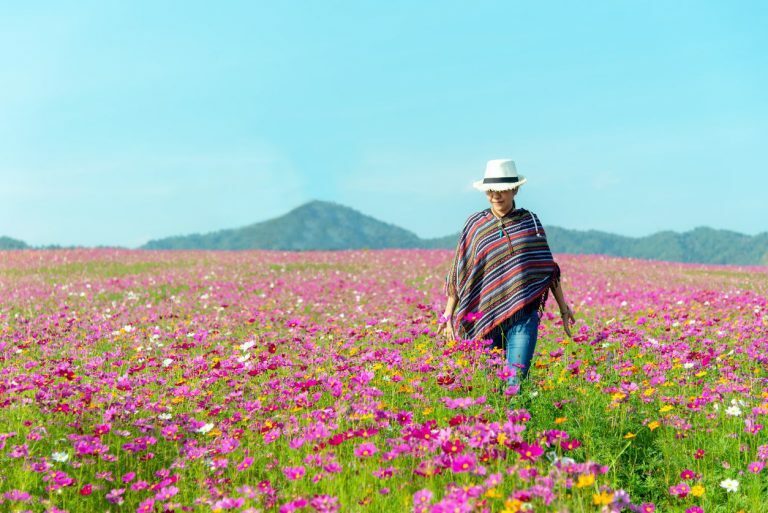 It gives the brain a chance to wash away toxins that build up during the day, and helps keep the nerve cell connections and pathways active and constantly self-renewing. Restful Sleep from BrainMD contains melatonin to keep you sleep throughout the night. It also includes the calming neurotransmitter GABA, as well as magnesium, vitamin B6 and valerian. BrainMD uses authentic GABA (Gamma-AminoButyric Acid), chemically identical to the body’s GABA. Together, these nutrients produce a soothing, sedative effect that helps you ease into peaceful sleep and get a long uninterrupted period of rest. Did you know that your brain requires at least 20 percent of your body’s total oxygen and blood sugar resources – and even more when it’s in “overdrive?” Brain & Memory Power Boost is exclusively formulated to promote the brain’s versatile, intense energy generation and utilization, and to support the optimal functioning of its almost 200 billion cells. This supplement includes seven brain boosters clinically proven to promote brain energy levels, support brain connectivity by sharpening synaptic functioning, guard against excessive free radical production, and all together work in synergy to improve mental performance. Together these brain boosters help power up mental sharpness and cognition so you can think fast on your feet again, and retain information so that you can be as productive as can be. At BrainMD, we’re dedicated to providing the highest purity nutrients to fight fatigue and restore calm to your busy life. For our full list of our cutting-edge brain supplements, visit us at BrainMD. I have been following your work for years. Thank you for what you do. Thanks for sharing the motivational post to increase our energy. You have defined about how to improve our productivity level too. Thanks for sharing this post. This is the ultimate guide to increasing your energy, boosting your productivity, enhancing your mood and living a more fulfilling life.